The Korean actor and actress starred in leading role of Scent of A Woman, Lee Dong Wook and Kim Sun Ah, is going to promote the popular hit melodrama in Malaysia and Singapore in a promotional event organized by ONE and ONE HD of Sony Pictures Entertainment. Scent of A Woman is scheduled to air via ONE TV channel on Malaysia’s Astro B.yond and Singapore’s StarHub TV and SingTel mio TV from November 30th, 2011. The Lee Dong Wook and Kim Sun Ah meet the fans events are scheduled to hold on Monday, December 5, 2011 in Singapore and Tuesday, December 6, 2011 in Malaysia. 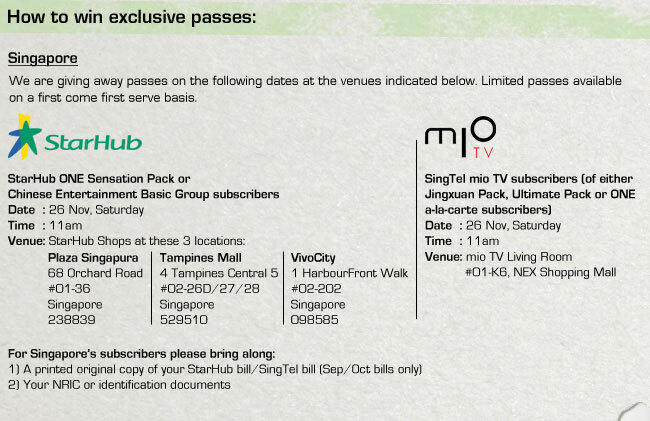 Singapore StarHub ONE Sensation Pack or Chinese Entertainment Basic Group subscribers or SingTel mio TV Jingxuan Pack, Ultimate Pack or ONE ala carte subscribers can redeem exclusive passes to the Scent of A Woman meet and greet event with an original copy of September or November bill and NRIC or identification documents at StarHub Shops at Plaza Singapura, Tampines Mall and VivoCity or mio TV Living Room at NEX Shopping Mall on November 26, 2011. Malaysia Astro B.yond ONE HD subscribers can visit http://www.astro.com.my/astrolife/astrolife-korean-stars-meet-greet to register to win the exclusive passes. The first 10 Astro B.yond customers per day who register on the AstroLife website everyday from November 18 to November 27, 2011 will receive a pair of exclusive passes to meet Kim Sun Ah and Lee Dong Wook up close and personal!